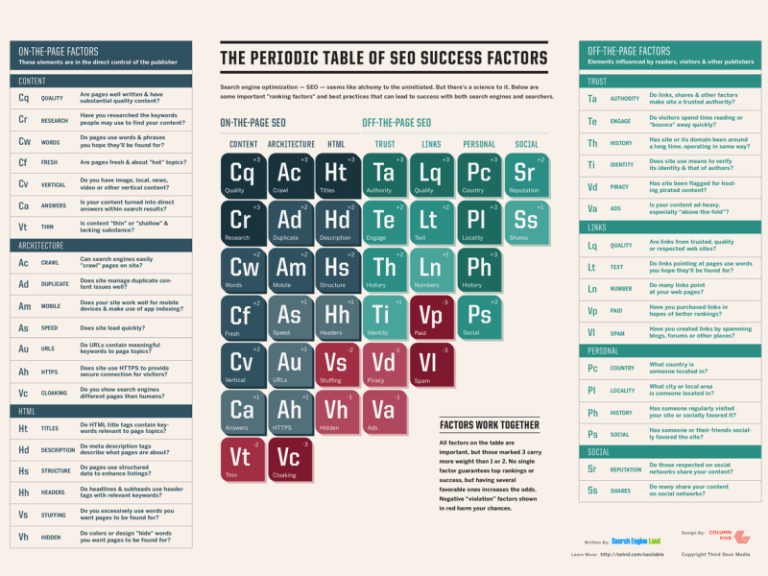 If the image above does not help you with the question of “What is SEO” or it seems confusing and reminds you why you didn’t enjoy science at school, don’t fret. What matters is that we understand it. SEO can be confusing to many, so today we are going to break it down into words, images and videos that can be easily understood. In layman’s terms, SEO, or Search Engine Optimization, is a combination of ongoing activities that cause a website to move up in the results of Search engines. It can be divided loosely into 2 sections, namely On-Site SEO and Off-Site SEO. On-Site SEO refers to Optimization activities that is done on the website to make it appealing both to Google and people, while Off-Site SEO comprises of Optimization activities like backlinking from other sites back to your website, social shares (people sharing your content on Facebook, Twitter, etc) and social signals (people linking back to your website content from social sites) and other activities. These activities are not performed directly on your site, but rather drive authority, trust, and relevance back to your website to help it perform better in the search results. Both On-Site and Off-Site SEO activities are important factors in getting your website to continuously move up in the search engine until it can be found in the top of the organic search results. So that is the simple explanation. Below you will find 2 snippets from reputable resources that do well to further explain what SEO is. For those of you who prefer movies over books, you can just scroll down to the video. SEO is the practice of increasing the quantity and quality of the traffic that you earn through the organic results in search engines like Google, Yahoo, and Bing. Now a search engine’s results page very frequently looks something like this. This is one of the most basic SERPs out there. 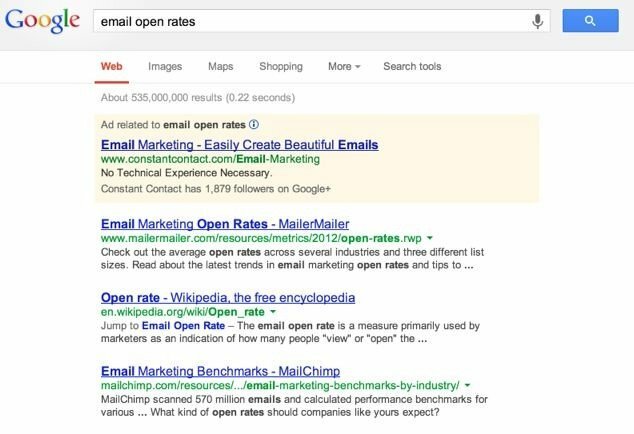 We’ve searched here for “email open rates” in Google. At the top you’ll see ads – Google labels these – ads related to email open rates. These are search ads that you can buy through Google’s AdWords program. This is traditionally called PPC or pay per click search engine marketing. Next we see what’s referred to as the organic or natural search results. SEO is all about influencing these natural, organic search results to earn more traffic from them. Remember that these are organized by Google’s search engine algorithm. The ranking elements that Google considers in their algorithm determine the order in which these pieces rank.